Blue’s Clues Gets a New Host and a New Title! Blue’s Clues & You to Be Hosted by TV Newcomer Joshua Dela Cruz…and Steve Gives a Big Thumbs Up! 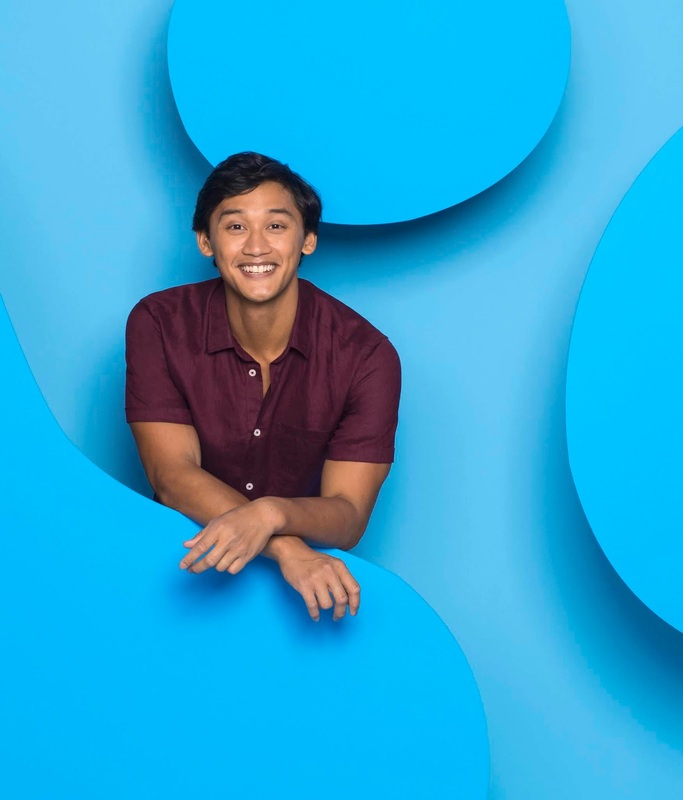 NEW YORK--(BUSINESS WIRE)--Nickelodeon’s Blue’s Clues has found a new pal for Blue in TV newcomer and Broadway actor Joshua Dela Cruz, and a brand-new title: Blue’s Clues & You. Dela Cruz will have a new generation of preschoolers searching for clues with the beloved energetic girl puppy Blue. Production on Blue’s Clues & You will commence this month in Toronto. Joshua Dela Cruz is making his television series regular debut as the new host of Blue’s Clues & You. Dela Cruz recently appeared in Disney’s Aladdin on Broadway as the understudy for Aladdin and a member of the ensemble. Other notable theatre credits include David Byrne’s Here Lies Love and Encores! : Merrily We Roll Along. He has also appeared in CBS’ Bull and ABC’s Time After Time. In Blue’s Clues & You (20 episodes), beloved puppy Blue invites viewers to join her and the live action host on a clue led adventure and solve a daily puzzle. With each signature paw print, Blue identifies clues in her animated world that propel the story and inspires viewers to interact with the action. The original Blue’s Clues series launched in September 1996 to critical praise from educators, parents, and preschoolers and ran for six groundbreaking seasons. 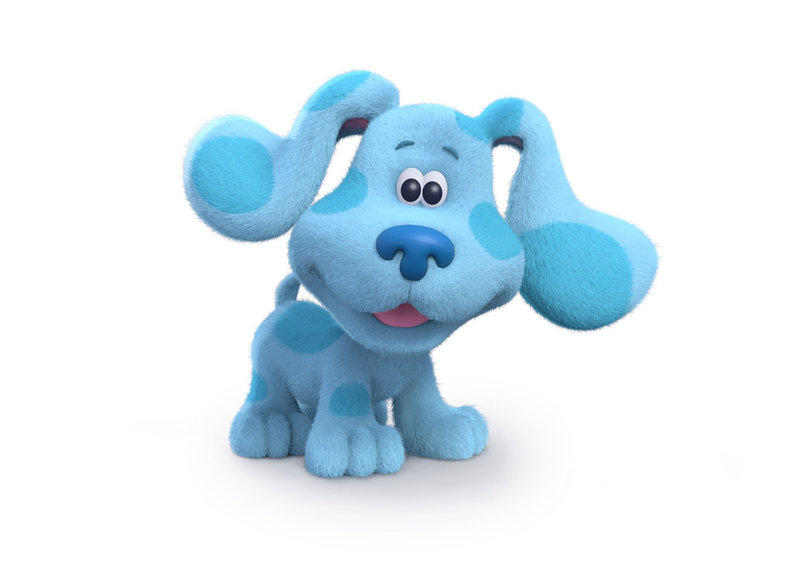 Created by Traci Paige Johnson, Todd Kessler, and Angela C. Santomero, Blue’s Clues drew acclaim and high ratings for its unique interactivity that helped change the way kids watch television and has remained one of the most popular preschool shows of all time. The landmark series also raised the bar in preschool television by exploring advanced subject matter such as sign language, geography, physics, emotions, and anatomy. The classic Blue’s Clues library is currently available on NOGGIN, Nickelodeon’s video subscription service for preschoolers, and short-form content can be found on the Nick Jr. App and NickJr.com. It's currently unknown whether the UK version of the rebooted Blue's Clues will have a localised host. In the original series, the show was presented Kevin Duala. Dela Cruz is repped by Headline Talent Agency. Dela Cruz will fill the role of Blue's human companion, originated by Steve Burns. 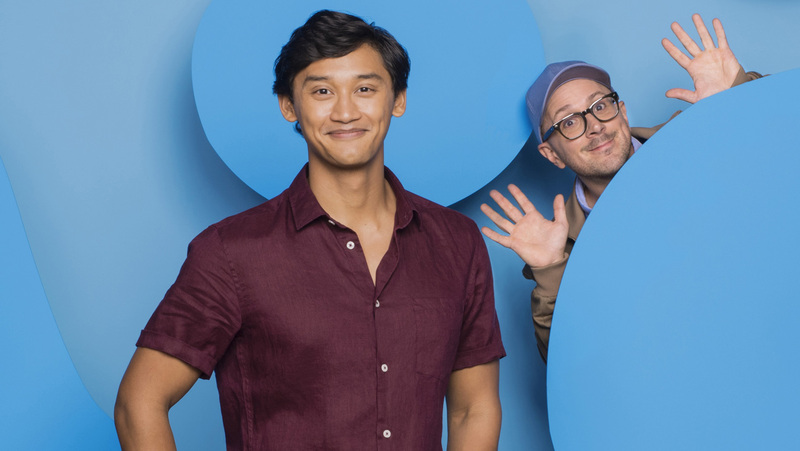 New 'Blue's Clues' host Joshua Dela Cruz (left) and original host Steve Burns. Courtesy of Nickelodeon. Move over Steve and Joe — Blue's Clues' titular pup has a new human companion. The beloved 1996 children's program is getting a reboot on Nickelodeon, as well as a new title and host, played by Broadway actor Joshua Dela Cruz! Retitled Blue's Clues & You, the series will follow a format similar to its parent show, in which its starring animated canine, Blue, leaves pawprints on clues for her preschool-aged viewers to find and interpret, with the help of her live-action friend. Nickelodeon has tapped Dela Cruz, recently understudy to Aladdin on Broadway, to sport the iconic green striped shirt originally donned by Steve Burns, who was involved in casting his replacement. Though Dela Cruz's resume includes multiple stage credits, the actor is relatively new to television. 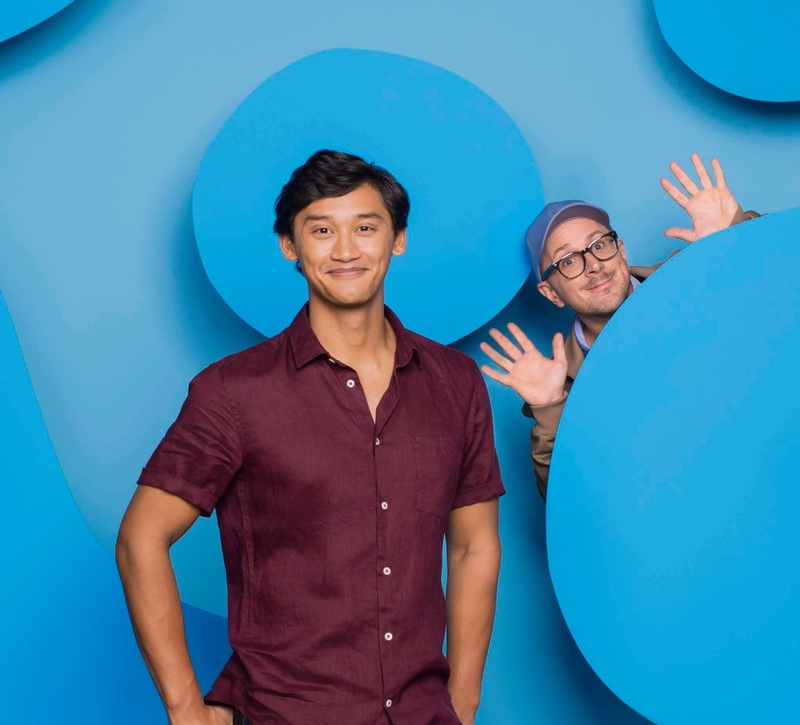 Blue's Clues & You will mark Dela Cruz's small-screen debut as a series regular, while he previously appeared in CBS' Bull and ABC's Time After Time. Dela Cruz is the third to step into the hosting role, preceded by Burns, who originated and kept the part until 2006, when Donovan Patton replaced Burns as the new Steve — renamed Joe — for the show's final episodes. In Blue’s Clues & You, beloved puppy Blue invites viewers to join her and the live action host on a clue led adventure and solve a daily puzzle. With each signature paw print, Blue identifies clues in her animated world that propel the story and inspires viewers to interact with the action. Blue's Clues & You will begin production later this month in Toronto, Canada. As the new host of “Blue’s Clues,” what should we know about you? Josh Dela Cruz: I am super, super silly. That’s probably the biggest thing about me. I am a clown among my friends. I have terrible dad jokes, so you can expect me to bring all of that humor to the learning and curriculum. How long has this been a secret? Steve Burns: It doesn’t feel like you’ve been … cast for all that long. It wasn’t so much a secret as it was the process of finding the host. I know that they saw thousands and thousands of people. And when we saw Josh, I turned to everyone and said we can start filming tomorrow. He was phenomenal from Day One. And I’m here to tell you it’s not an easy job. It’s technically demanding, and it requires incredible strength of imagination. And that’s something I think Josh brings to this that’s so important. Imagination and authenticity ― those are the two major requisites for the role, and he has them big time. And of course, you obviously beat out John Cena. How do you feel about that? Dela Cruz: You know what, I would love to work out with John Cena. At the end of this, if he’s OK about it, I would love to do that. I don’t think that I’ll ever be able to touch John Cena’s career ever because he is amazing and like a comedy god. Burns: Can I speak to that for one second? Cena, if you’re out there. All right. You’re ducking me? OK, I threw down the gauntlet and crickets. What does that say? Burns: How wonderful would it be if this actually ends up with me wrestling John Cena? Dela Cruz: It would be amazing! Burns: And then I could tag Josh in and you’d save me again. The big question is what would be your walkout song? Dela Cruz: I’m really feeling “Thunderstruck.” Oh, “Mail Time”! Ohhhh! Please do “Mail Time.” I was gonna say the goodbye song, “Now it’s time for so long,” but that’d be great, too. Now this brings up some really important questions, Josh, how excited are you when the mail comes? Dela Cruz: I’m incredibly excited. It’s the song that kind of kick-started my career. … I was a quiet kid growing up. Well, that’s not entirely true. In preschool, I was a very talkative kid. I used to get in trouble a lot, and I remember one time I was talking when the teacher said everyone has to be quiet, and I was made an example of, and it wasn’t a bad thing. I understand what was happening, and I understand the teacher wanted to keep order in the classroom, but I remember receding a lot after that, and I became very quiet and very shy. And when “Blue’s Clues” came around ― and, granted, I was not the target audience when the show came out ― I was watching it with my little sister at my aunt’s house because she had Nickelodeon, and we didn’t have cable, and it was like the best thing ever. And I would watch with my little sister, who would play along. I would play along in my mind but ... when “Mail Time” came along, I had never really sung out loud before, and because of the “Mail Time” song, I started singing out loud. And that led to me really enjoying singing. I mean the last note that Steve hit: “Mail Timmmme.” He was doing [a Grover voice], but in my mind he was doing opera. Burns: I’ve heard some of that story. I’ve not heard all of that story, and that is awesome. That is fantastic. So obviously you emulated a lot of Steve. What about his drawing skills in the handy dandy notebook, and will you be rocking the custom green rugby shirt Steve wore so well all those years. Dela Cruz: Questions that I would love to answer, but I can’t. You’re gonna have to tune in and find out. I just promise you that ... everyone on the team has been really supportive about me being me and being comfortable in what I’m wearing. As far as drawing, Steve had the handy dandy notebook on the show and my little sister … wanted a handy dandy notebook and of course she had it, and I stole it and kept drawing in it. Most of my life, I thought I wanted to be an illustrator, and now that that’s so far removed from me, I’m like, you don’t want me drawing. It’s not my ministry. But I love drawing, and I remember “Blue’s Clues” encapsulated everything that I love: curiosity, the adventure of going to new places, skiddooing into a picture, exercising your imagination, being able to sing and dance and be silly, and then to draw on top of that, it was magic for somebody that wasn’t supposed to be watching the show. Burns: What we can tell you is we’re still finalizing a lot of the questions you were asking, but Josh will certainly have some signature look, and it will certainly be infinitely cooler than the way I looked. There will be a notebook, but it will be much handier and remarkably more dandy. He will get the mail every day with technological updates, so all the stuff you expect to be there will be there in a different way. Blue possibly using an iPhone? That’d be interesting. So it’s been more than two decades since the show. Is this still the original Blue, or are we dealing with Blue’s puppies? Burns: Blue is a magical, felt-created, puzzle-solving puppy, so I think she is ageless. Dela Cruz: I would say so, especially a magical puppy. I have a dog that I love very much that is 3 years old, but as hard as I try, he will never be able to skiddoo into a picture and take us on a free vacation. The last time we saw Steve, he was off to college. What are the chances he stops by to hang out with his new buddy Josh? Burns: Oh, man, I don’t know. That does sound fun though. I don’t know what that would look like. It does sound hilarious. Dela Cruz: I would love if Steve came on the show, but he has prepared me, so we’re gonna start shooting soon, and what they did, which was wonderful for me, was they gave me some coaching time with Steve. So Steve was my Jedi master in the auditions and he was helping me, prepping me, making sure I actually talked to the person on the other side of the camera. It was one of the most mind-blowing things when he said, “When you’re asking a question you’re not asking the kid because they’re there. You’re asking the kid because if you’re talking about skateboarding, they’re the Tony Hawk.” I remember my mind just exploded. Oh, my gosh, that makes so much sense. That’s the importance. We’re usually talked down to as kids or told to be quiet, but to really be asked by an adult, “Well, what do you think?” That’s so, so powerful, and Steve being my Yoda throughout this entire thing has been such a gift, so we’ll see what the season has in store. Burns: You know, and Yoda really is the correct metaphor. I’m smaller, much older. Burns: I’m balder … and I’m indelibly associated with the color green. More Nick: Steve Burns is on the Hunt to Find the New Star of Nickelodeon's 'Blue's Clues'! 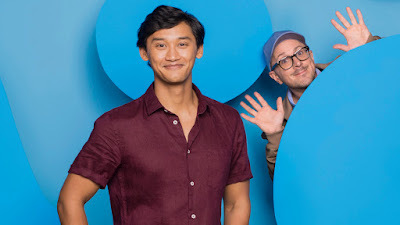 The new host for Nickelodeon’s hit show Blues Clues was announced yesterday and while this is a huge deal for 90 kids the world over, it’s even bigger news for Filipino millennials as the guy replacing host Steve Burns is a Filipino-American. In a video posted by Nickelodeon, actor-singer Joshua Dela Cruz shared what the audition process was like for him. Apparently, he had to do it in front of the Steve himself. “I was starstruck but at the same time immediately felt comfortable with him. He was just so generous with his time and with his energy. It was a huge huge moment for me to meet the person that I was watching on TV growing up and to find out that he was so cool,” he said. So who is Dela Cruz? We did a little digging (sans handy dandy notebook, unfortunately), and found that he was part of the ensemble in the Broadway production of Disney’s Aladdin. He was even an understudy for Aladdin, Broadway World reported. Dela Cruz was also part of Here Lies Love, the off-broadway musical about former Philippine First Lady Imelda Marcos. On TV, he appeared on the show BULL and Time After Time. See him in this YouTube video singing Somewhere Over the Rainbow. And here, in a staging of King and I at the North Shore Music Theatre. Apart from a different host, Blues Clues also underwent other changes — including one in the title. According to The Hollywood Reporter, the reboot will be called Blue’s Clues & You. Dela Cruz also hinted that everyone’s favorite handy-dandy notebook will be back but not exactly like the small spiral notebook we’ve come to love. “What they’re going to do with it excited me very much because the notebook will be back but it may not be the way that you remember,” he says on Nickelodeon’s video. The new show will be similar to the original and will still have Dela Cruz looking for clues left by his dog Blue (duh) while interacting with the audience. According to Variety, production will start in Toronto this month and the first season will have 20 episodes. What do you think the mysteries will be this time? Time to sit on our thinking chairs and try to figure it out. Filipino-American Broadway actor Joshua dela Cruz is the new host of the reboot of the iconic Nickelodeon show "Blue's Clues." Nick Jr. introduced its newest host on its Facebook page and shared Josh's journey on how he became the new face of the upcoming show, now titled "Blue's Clues & You." Original host Steve Burns helped out in choosing his successor and met Josh during the auditions. "My journey to get here was really wild. When I auditioned for Blue's Clues Steve was in the room and they were just kind of like, 'Hey Steve, do you have anything for Josh?' and like, 'Oh yeah, this is Steve.' and I was like 'Whaaaat was happening? '," Josh recounted. Josh said he was at first starstruck seeing Steve in real life, the guy he watched on TV growing up. "I was starstruck but immediately it felt comfortable with him, he was just so generous with his time, with his energy, it was a huge huge moment for me to meet the person that I was watching on TV growing up and to find out that he was cool." As someone who has done it for years, Steve had a few tips for Josh: "Actually finding somebody on the other side of that lens to talk to, and to wait for their answer, and you don't know what the answer is, so to actually listen," said Josh. What Josh is most excited about the reboot is the handy dandy notebook, which he said will be back on the show but "may not be the way you remember." For Josh, being the new host for the show is a "wild dream" come true. "It's a wild wild dream, one day I'll wake up I don't plan on doing that any time soon because this is amazing to be part of such an iconic show I am over the moon happy and cannot share what we work on to all of you guys." Originally published: Thursday, September 13, 2018 at 3:49pm BST. Original source: The Hollywood Reporter; Additional sources: Deadline, UPI. Follow NickALive! on Twitter, Tumblr, Google+, via RSS, on Instagram, and/or Facebook for the latest Nickelodeon Preschool, Nick Jr. and Blue's Clues News and Highlights!